We are a leading Manufacturer of alage oil from Agra, India. Usage This oil contains DHA, which accounts for 97 percent of the omega-3 fats in the brain. Algal oil is the oil that is derived directly from algae. This oil contains DHA, which accounts for 97 percent of the omega-3 fats in the brain. Unfortunately, not enough American people get enough of it. 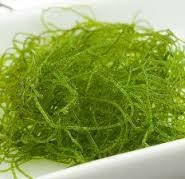 Algal oil is vegetarian DHA oil that does not come from cold-water fish. As scientists and doctors realized how important omega-3 fatty acids.